Even though foreclosed homes typically sell for 35% less than market values, buyers at foreclosure sales may not be getting the bargain they hoped. The time spent searching for foreclosed properties may not be time well spent. Homeowners association fees, costly repairs, and potential liens are not typically worth saving a few dollars. 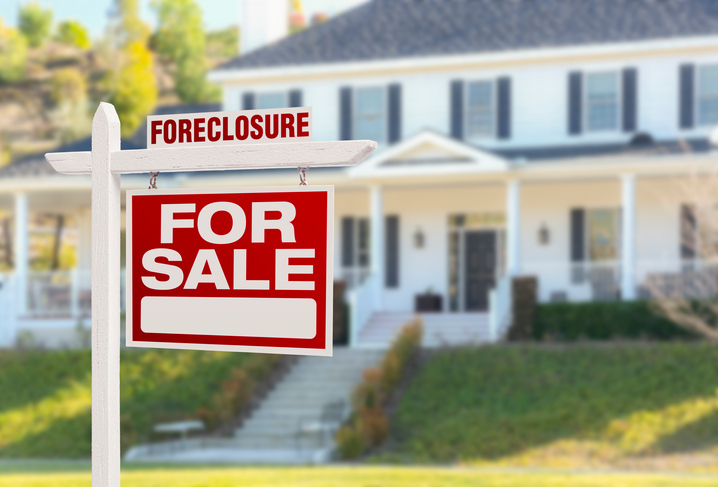 Buying at a foreclosure sale is not for the uninitiated buyer. A buyer at a foreclosure sale takes the property subject to any liens that may be attached to the property. Before bidding on any property, it is wise to have performed a title search, a judgment search, a municipal lien search, to know the amount of homeowner association arrearages and other possible encumbrances that may be customary in the community. Bank foreclosures result from the homeowner defaulting on the mortgage. The most common default is failure to make mortgage payments as required. A homeowner was laid off from their jobs or fired. A homeowner has a medical condition that prevents them from working. A homeowner’s company transfers them to another state for their job. A homeowner has excessive bills or debt. A homeowner has a divorce. The homeowner cannot afford to maintain the home. A homeowner lives in the home and makes the mortgage payments until the mortgage is paid off or until the property is sold and the unpaid mortgage balance is paid from the sales proceeds. Unfortunately, some homeowners run into financial trouble and are unable to continue making payments. Clear title, or title which can be made clear, is essential to being able to sell a home. Judgements, liens or an interrupted chain of title cloud the title, making selling difficult. Sometimes lawsuits, known as quiet title actions, are required to clear title. Such actions are time consuming and costly and many buyers would not want to wait for title to be cleared and would therefore be motivated to cancel the contract and look for another property. Richard S. Weinstein is an experienced real estate attorney. Hire him if you are foreclosing on your home or purchasing a foreclosure. He can help review important and relevant documents and ensure you are navigating the foreclosure process correctly and legally regardless of which side you are on. With over 50 years of experience as an attorney, Richard S. Weinstein assists clients with the important financial situations in their lives. Whether you are dealing with bankruptcy, real estate (both commercial and residential, including short sales, foreclosures, and title insurance), estate planning, probate, business formations, or sales or mergers, Richard S. Weinstein is the attorney with the education, experience, and knowledge you need! Call us at (561) 745-3040 or visit his website at rweinsteinlaw.com.